Dutch baby pancakes, puffy and golden brown, are my go-to dish for wholesome and nourishing breakfasts. At night, when I’ve tucked my son into his cotton quilts and woolen blankets, I ask him what he wants to eat for the next morning’s breakfast. 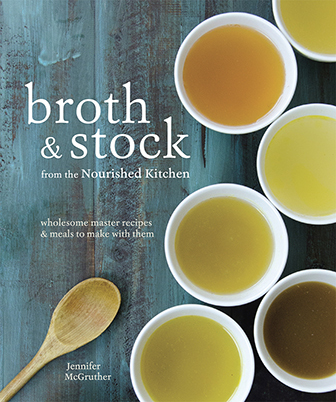 So many dishes, properly prepared, need time – soaked oatmeal porridge, baked oatmeal or buttermilk biscuits, for instance. And while eggs are a household favorite, more often than not, “PANCAKES!” comes his reply. Like most moms, I don’t have a lot of time in the mornings and as much as I love food and cooking, the painstaking process of pouring, flipping and turning every single pancake makes me shudder. I get bored, check my email and burn half the batch of pancakes in the process. It’s not a pretty sight, and we’re left with a mountain of dirty dishes and batter-splattered counter-tops as a result. So when he asks for pancakes, I negotiate. “How about a Dutch baby?” I ask. He acquiesces and we’re both satisfied. Dutch baby pancakes are sinfully easy to prepare. In their simplest form, you can mix a quick batter, pour it into a skillet and throw it into the oven for ten to fifteen minutes. And you’re done. Every time I write about Dutch Baby Pancakes, either the recipe for a Lemon and Honey Dutch Baby in my cookbook, or this one. Perplexed readers, often Dutch, bristle and wonder why Americans call a Dutch Baby a Dutch Baby. The recipe isn’t Dutch in origin at all; rather it’s American, with German influence. 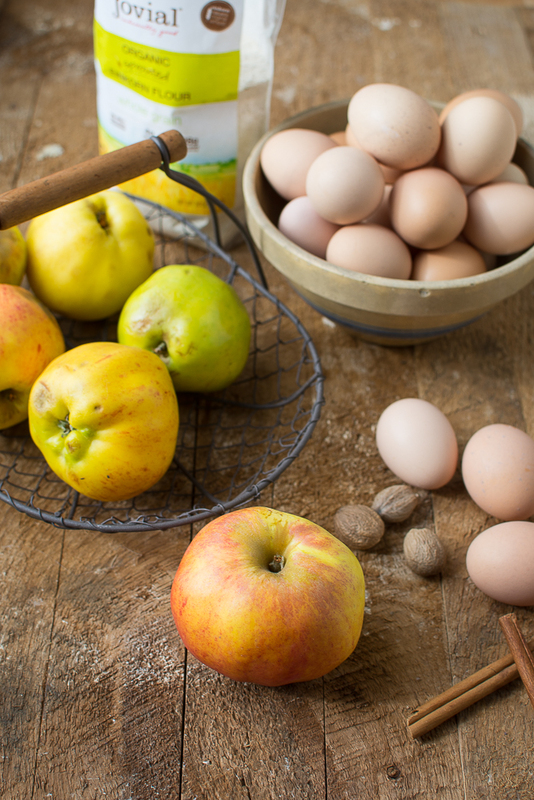 Its origin is the Pennsylvania Dutch Community, who, like the recipe, aren’t Dutch at all, but German, and have their own distinctive culinary heritage. And that reference to “Dutch” is really a reference to “Deutsch” or the German word for German. And this pancake? It’s related to Pfankukken, a German pancake made with eggs, milk, flour and sugar. 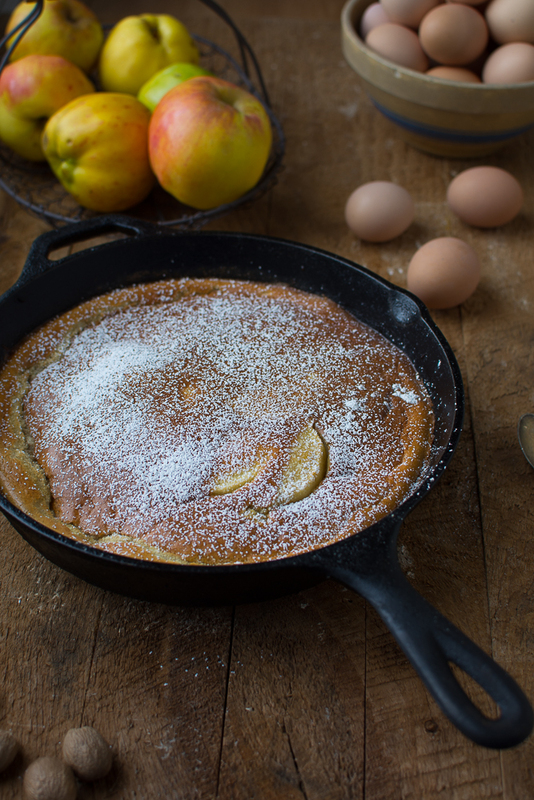 Thanks to the inclusion of both chopped apples and whole grain flour, this Dutch baby pancake won’t rise quite as high as those made with white flour; however, you’ll find the results equally delicious. Melt the ghee in a 10-inch cast iron skillet over (like this one) over medium heat. Toss the apples in the skillet and saute until tender, about 6 minutes. Pour in ¼ cup maple syrup over the apples and continue cooking, stirring occasionally, over medium heat until the syrup thickens, about 3 minutes longer. Remove the skillet from the heat, and allow the apples to cool about 3 minutes. Toss eggs, milk, remaining tablespoon maple syrup, flour, cinnamon, and nutmeg into a blender and blend until they form a smooth, liquid batter. Pour the batter over the apples, transfer to the oven and back for 12 to 15 minutes or until the pancake puffs and turns a pleasant nutty brown. Serve immediately. Grains, nuts, seeds and pulses remain dormant until environmental circumstances can support the growth of a new plant. It’s almost magic the way they can hold within their tiny kernel the potential for new life, and, even more, protect that potential until such a time as the plant as the best potential for success. The way these plants maintain that stasis is through the effect of enzyme inhibitors, and when the circumstances are right (that is, the environment is moist and slightly acidic like fertile soil in springtime), they release that life and sprout. This transformation deactivates enzyme inhibitors and other antinutrients like food phytate, increases B vitamins and makes the grain’s existing minerals more bioavailable. It also makes grains easier to digest (read more here). i’m going to try this one using a cast iron muffin pan. i want to make smaller versions for the kids to eat at breakfast. i’m hoping that they freeze well so i can just pop them in the toaster in the morning for a quick breakfast on the go. Can this be done gluten free using coconut flour? What would be the ratio? Looks so yummy and ready! Thanks! I make this GF using 1/2 cup almond flour plus 2 teaspoons coconut flour. Works well. mmmmmm! I’ve never tried it with apples. Gonna do it now for sure. BTW, I’ve never worried about lumps in the batter. In fact, I sort of think the whole thing is a lot more tender if you don’t whisk it too much–just like pancakes and quick breads; always leave some lumps or it tends to get a rubbery texture probably because of the developed gluten. My Dutch Babies have always risen VERY high around the sides and are melt-in-your-mouth tender. I will try them with apples. Maybe they won’t rise as high but I bet they’re delicious! Thanks for the recipe idea. We have also made this in our high-quality, heavy (multi-layered) bottomed stainless steel skillets as well as our beloved cast iron. Both work well. I’m going to have to adjust the temperature/time for my oven. Mine came out a bit overdone on the edges after 31 minutes, and of course a little less well done in the middle. I poured heavy cream over my serving thinking it had come out a little more like bread pudding, and still enjoyed it! Love the higher protein option of these pancakes. Thanks. I’ve been making these for years and I’ve never added sugar and I don’t think it needs any. I use more butter and make a larger recipe in a baking dish (big family). Never have added apples, and I may have to try that. We serve it with fruit, whipped cream, maple syrup, nut butters – anything you’d eat on pancakes. We have a similar recipe (a little more flour) but we top ours with cottage cheese and peaches. Always goes over well! Sorry for the stupid question. But, how do you sprout flour? Thanks. The sprouting is done before the wheat is Mike’s so unless you are a do-it-yourself miller you would purchase sprouted wheat flour. Try googling “gluten-free dutch baby” for the best bet. This looks delicious! Is there anyway I could soak some flour instead of using spouting flour? If so, how would adapt the recipe? I wouldn’t recommend it, though you could try. You could substitute all purpose flour though, which doesn’t require soaking. 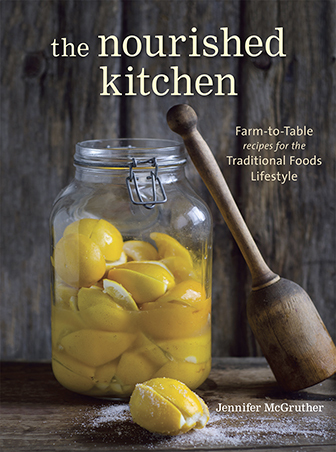 Can I soak the Einkorn flour that I have on hand for this recipe? If so, how? CANt wait to try this recipe tomorrow morning! I’ll have to use sprouted spelt flour though because that’s what I have. Thanks so much! 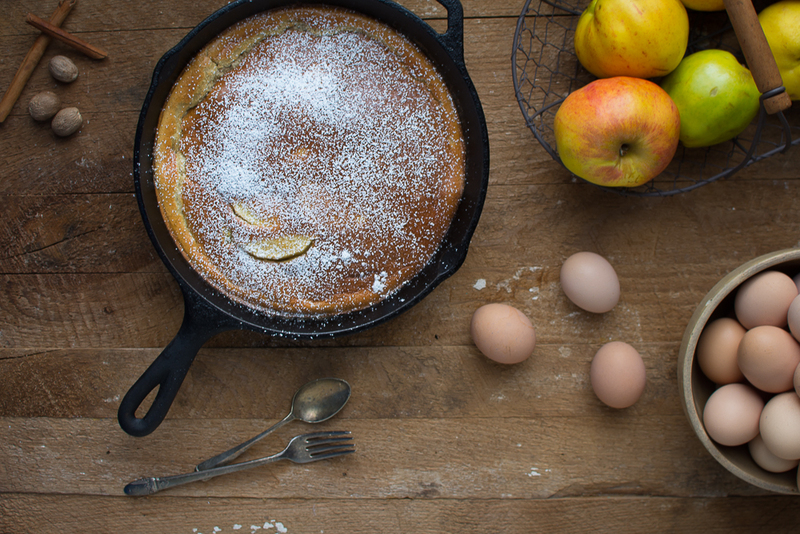 If you take the time to read the full post, I explain why it’s called a Dutch baby.